The vintage round tablecloth featuring hand embroidered work & a cluny lace edging. Vintage Hand Embroidered Tablecloth Table Topper Centerpiece Measurement: 21" x 22". 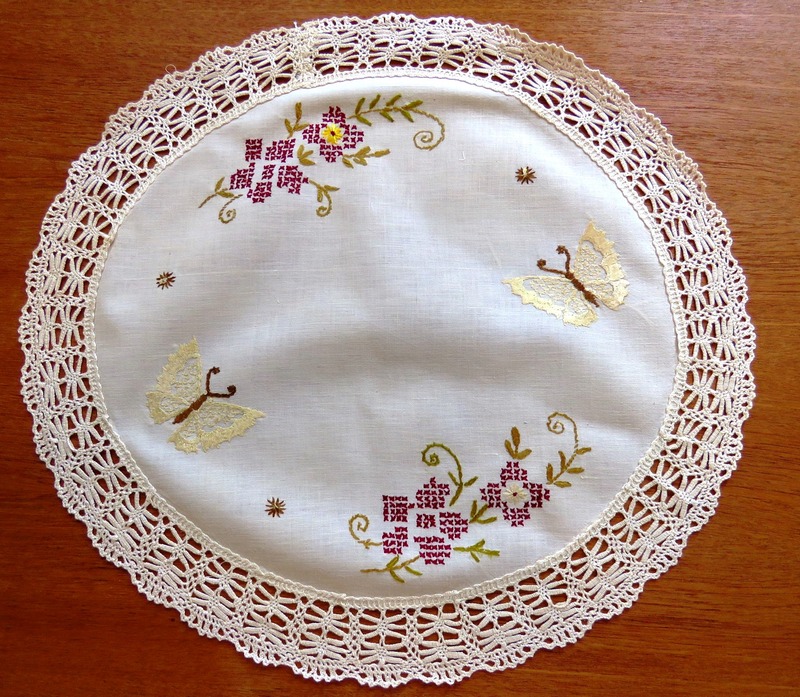 The hand embroidered pattern on the table topper doily are silk embroidery floss butterflies & burgundy cross stitched flowers. Color: soft yellow creamy vanilla shade of color (see photos). Vintage Hand Embroidered Tablecloth Table Topper Centerpiece Condition: Very good condition. I saw no faults. "as is condition" unwashed.